This is essentially a C17 stronghouse that was built incorporating parts of a former medieval tower, more apparent on the hidden north side. The east end contained a kitchen having a large fireplace and oven. The upper storey windows are clearly of the C17 or C18. 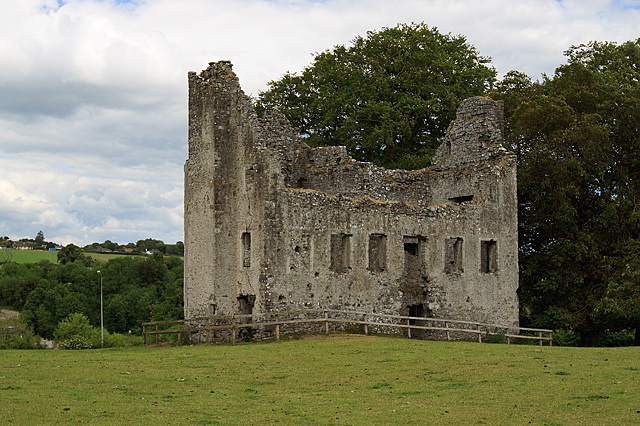 Fennor is located on the south bank of the Boyne just south of Slane.